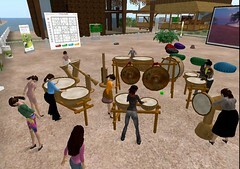 Like many other teachers, I was lucky to have met Kip Yellowjacket, the owner of Virtlantis, early in my Second Life. He not only gave me my first Linden dollars but also a place I could call home. 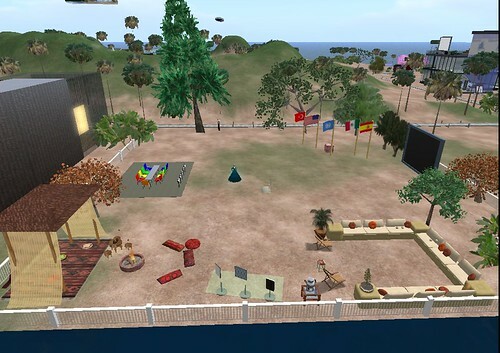 Well, he called these plots “launchrooms”, which teachers could use as a meeting point with their students and “launch” from their to other destinations in SL. But that was not the end of Kip’s generosity. Some time later, he started building houses on Virtlantis and he gave these away for free, too. I was lucky enough to get one. It was called Casablanca and I loved it from the first moment. It was huge, had two large rooms and in the middle a garden. It also had two porches. Once again, I started decorating and Kip helped me with positioning the furniture. One day, I was preparing for a lesson which would partly take place in my home. When I logged in half an hour before the lesson, I was in for a shock. My house had been vandalized! 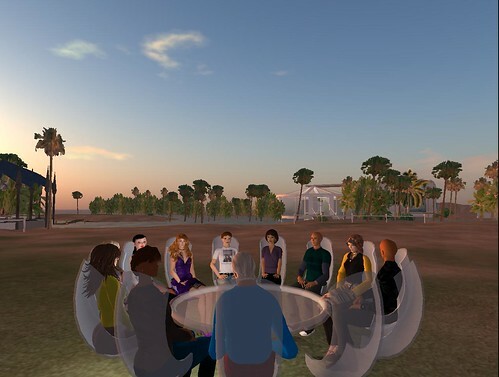 It was the first time that I had experienced something negative in Second Life and strangely enough it felt real to some degree. Unfortunately, it happened two more times and I decided to move to another house on Virtlantis. This time, I hung up some pictures from my real life home, which I uploaded and even had a copy of my real life praying rug. In the front garden, I had planted daffodils, which Dennis, a dear friend, had given me as a gift. I’m really sorry now that I didn’t take more pictures of it but I had been very busy. 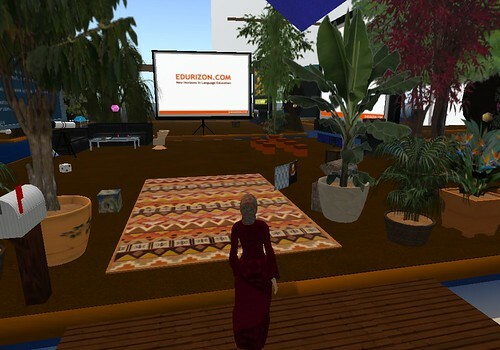 So much so, that I even didn’t log into SL for days and if I did I mostly teleported to some other place for a lesson or meeting. At the end of last year, I rented a plot on EduNation for a teacher training course I would be giving. So, this became my temporary second home for some weeks. Then, I had to make a decision. I was busy with my Master’s, which I had recently started. 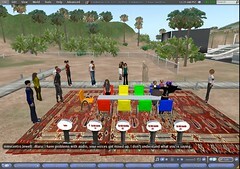 Then, several SL projects were coming up, which would all take place in different locations. I knew I wouldn’t have time to be in my home … Funny enough, this wasn’t an easy decision but I made up my mind and wrote to Kip telling him I would give up my home. I took my personal belongings back into my inventory, had a last look and teleported away. I also gave up my home on EduNation. I didn’t think it would make me feel sad. It’s just a computer server somewhere and some pixels, right? Well, obviously it wasn’t. 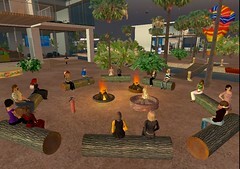 Second Life is a place. It’s a place where I work, meet friends and go to places. So, having a home is an important part of (second) life. Many thanks to Pamela Arraras, whose blog post about “The importance of having a home” inspired me to finish mine.